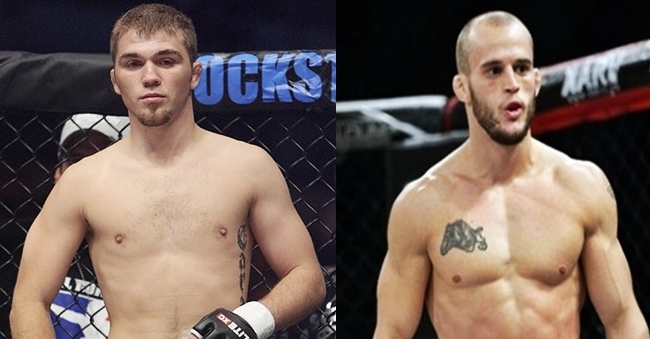 Bryan ‘Kid Lightning’ Caraway and Mitch Gagnon are set to face each other in a bantamweight bout for this summer’s UFC 149 card. UFC 149 will be held at Scotiabank Saddledome in Calgary, Alberta, Canada on July 21. The event’s maincard will aired via pay-per-view, while the prelims are expected to air on Facebook and FX. This will be Gagnon’s second chance at a first UFC fight after not being able to take a part on his scheduled bout last January, due to visa issues. Caraway, who fought as a featherweight semifinalist in the recently concluded competition style, reality show “The Ultimate Fighter 14″, drops down to bantamweight to face Gagnon at UFC 149.